This year’s Minnesota Legislature and the state’s taxpayers are giving a huge, historic gift to Minnesota students who graduate from high school in spring 2016. They have offered to pay full tuition and general fees for these graduates who enter a one- or two-year program in a “high demand” field, offered at any of Minnesota’s two-year public colleges. Funds are available for graduates from families earning up to $90,000. Because the $3.9 million in scholarships will be available on a “first come, first served” basis starting in January 2016, I strongly suggest that students who might be interested, and their families, do some homework over the holidays. The first thing, probably, is to read about the program on the Minnesota Office of Higher Education website, here: http://bit.ly/1ZbGXQU. Then, students should look at what are “high demand” fields; not all programs at Minnesota’s two-year public colleges are covered. A list of eligible programs is available at http://bit.ly/1T1nSxa. Though MOHE notes that there may be a few changes, the list currently includes dozens of diverse options, including accounting, carpentry, computer information systems, diesel mechanics, law enforcement, “mechatronics,” nursing, truck driving, speech-language pathologist assistant, welding, etc. This is only a small sample. Students should look at the full list. Then look at information prepared by the Minnesota Department of Employment and Economic Development. It has an enormous amount of statistics describing the number of jobs in various fields, median pay and projected openings in the coming years. That information is available at http://bit.ly/1JbD6de. Even if you are not a “data nerd,” anyone interested in career possibilities may find this Web page fascinating. For example, for spring 2013 higher education graduates, more than 9,000 people were working in a business-related field, earning, on average $40,651 per year two years after graduation. That compares with only 322 people who majored in history earning, on average $21,704 per year two years after graduation. The state’s Worlds Best Workforce program wisely requires that schools help students think about possible careers. Getting a job isn’t the only reason for education, but DEED’s information can help students make more informed decisions. Additionally, wise families of students who might be interested should spend some holiday time organizing their income tax data. That’s because the new scholarships require that students complete the 2016-17 FAFSA form (aka Free Application for Federal Student Aid). This form will be available in January. It makes students eligible for federal (Pell) and state grants. As MOHE notes, the new scholarships “will cover any remaining tuition and general fee charges after the student’s Federal Pell Grant and Minnesota State Grant have been applied to the student’s account.” Furthermore, undocumented students who graduate in 2016 and meet other conditions also are eligible for the grants. Many students from low-income families will have their entire two-year college costs covered by Pell or state grants, so this new program benefits 2016 graduates from middle-income as well as low-income families. While employers are not required to give employees a W-2 showing earnings until 2016, families can get deductions ready to put into tax forms. 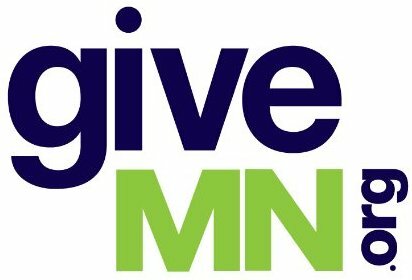 The grants will go to students who have completed their FAFSA and applied to and been accepted in a “high demand” field of study at a Minnesota public two-year college. There are some additional requirements, such as that all students receiving the scholarship must participate in a mentorship program. This program will be carefully evaluated, according to Ginny Dodds of the Minnesota Office of Higher Education. A webinar describing the program is on the MOHE website, here: http://bit.ly/1T1nSxa. It is a huge, historic opportunity. Joe Nathan, formerly a Minnesota public school teacher, administrator and PTA president, is a former director and now senior fellow at the Center for School Change. Reactions are welcome at joe@centerforschoolchange.org.